Such is the premise of Thin Air, British author Richard K. Morgan's return to science fiction, which upgrades the setting of the classic pulp noir to a seamy Mars colony where fake "paprika" skies produce sad attempts at rain and your health gets updated by "code-flies". The hardened sleuth here is Hakan Veil, once an Overrider, a deadly genetically enhanced operative kept on ice in a spaceship and awoken in the event of an on-board emergency. While in jail for one such hit, he is strong-armed by caustic police lieutenant Nikki Chakana into acting as a bodyguard for Madison Madekwe, an enigmatic auditor who has arrived from Earth amid escalating interplanetary tensions. She is investigating the disappearance of Pavel Torres, a nobody grifter from Mars' lawless Uplands, who won the lottery to go back to Earth, but never caught his ride. 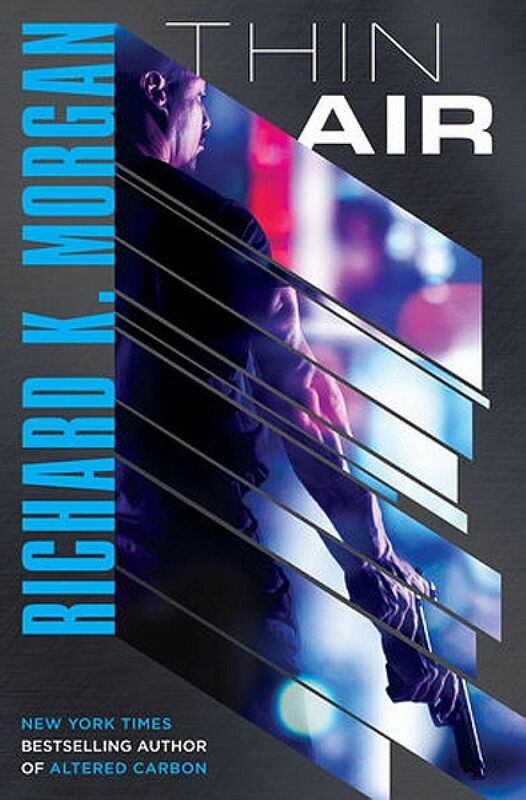 Thin Air has perhaps a little too much in common with Altered Carbon, the much-lauded novel on digitised humanity and body-swopping that propelled Morgan onto the scene in 2002 and was recently made into a hit Netflix series. Both feature hard-wired antiheroes dragged out of stasis and saddled with cases mired in corruption at the highest levels. Nitpicks aside, it is good to see Morgan back in this genre. Thin Air may not exactly take your breath away, but it does deliver the thrills. If you like this, read: Leviathan Wakes by James S.A. Corey (Orbit, 2011, $18.19, Books Kinokuniya), the first book in the Expanse series, set in a future where humanity has colonised much of the solar system. A space station detective is tasked to locate the daughter of a wealthy magnate, whose disappearance is linked to the destruction of a civilian ice-hauler in space.